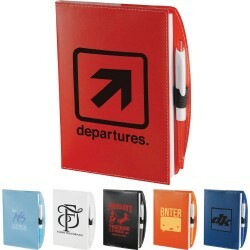 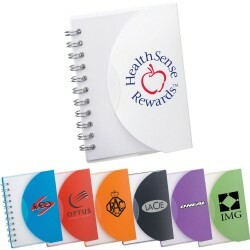 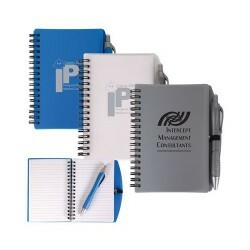 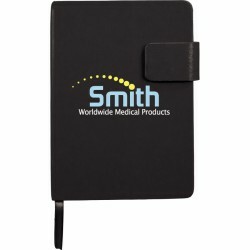 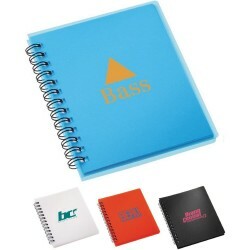 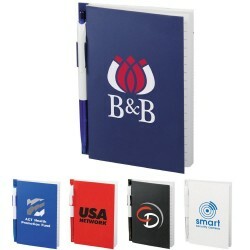 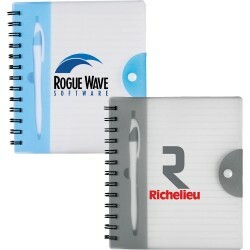 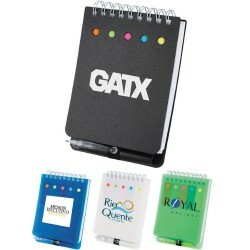 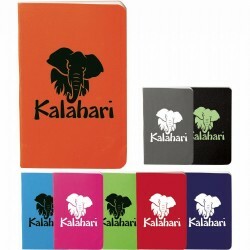 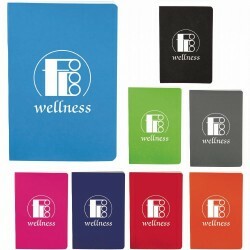 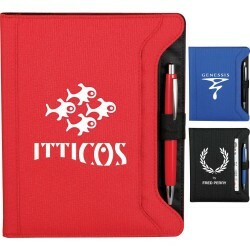 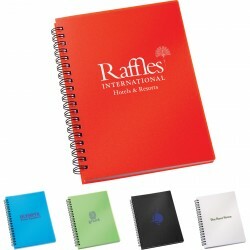 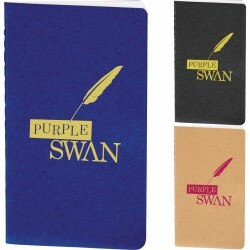 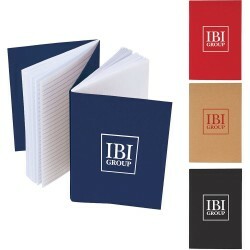 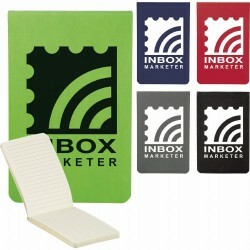 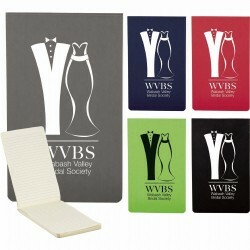 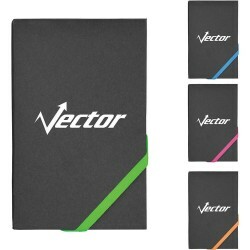 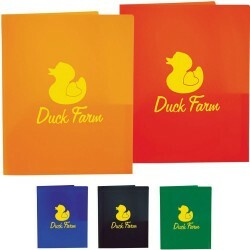 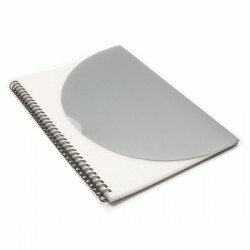 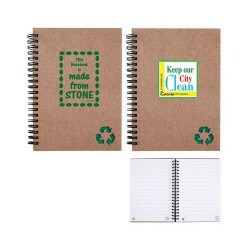 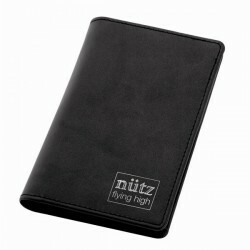 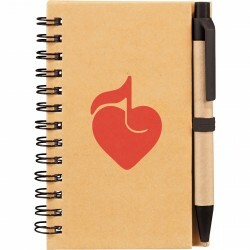 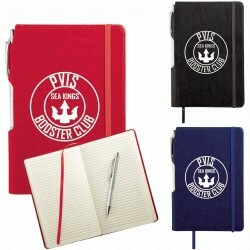 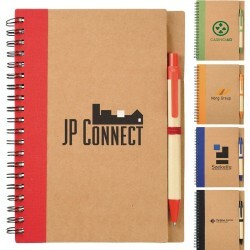 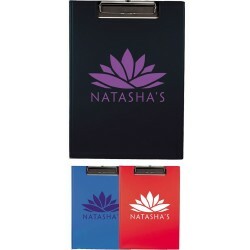 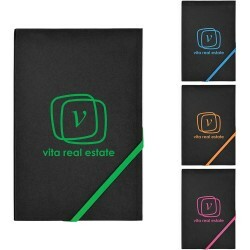 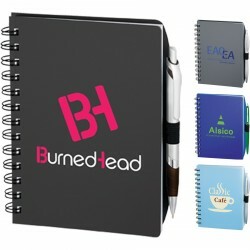 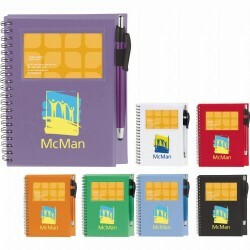 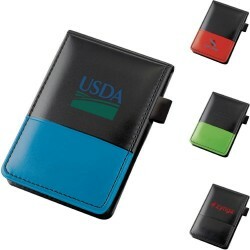 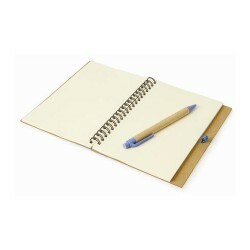 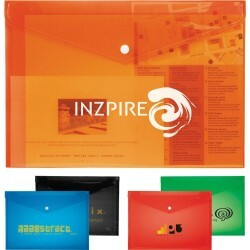 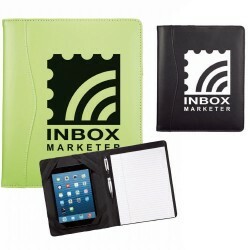 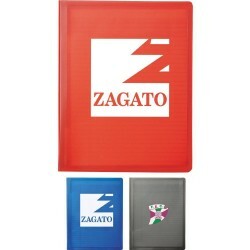 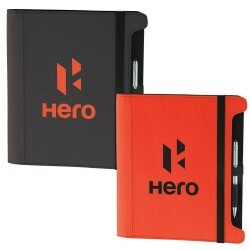 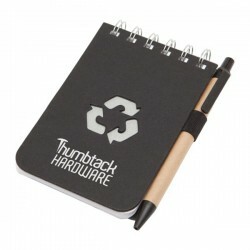 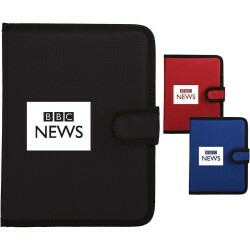 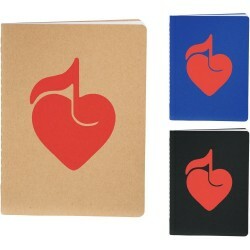 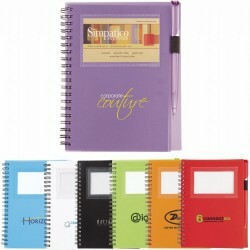 Promotional Note Pads make great branded conference or travel gifts. 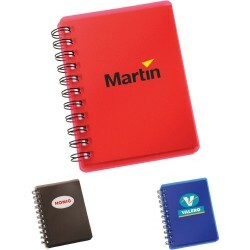 As a business product, they are deemed a daily essential for taking down important data during meetings. 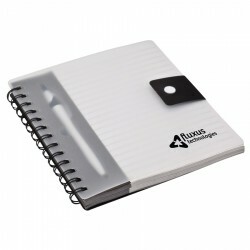 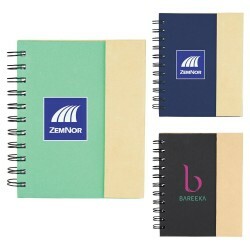 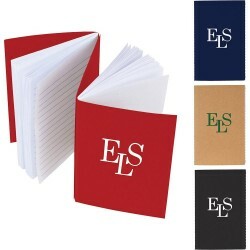 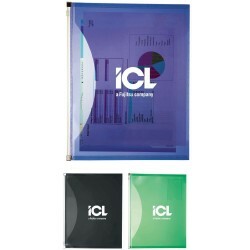 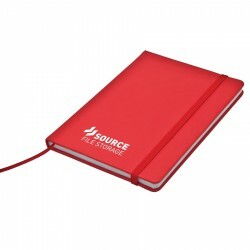 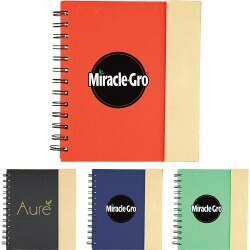 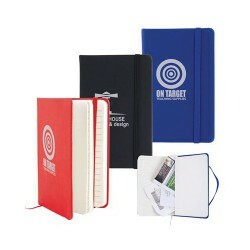 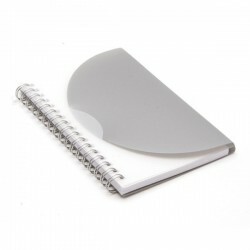 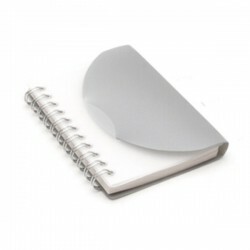 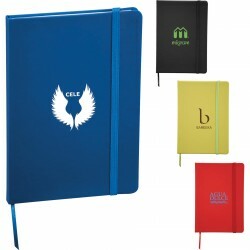 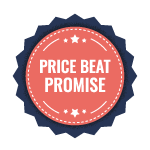 Promotioanl Product Experts range of promotional note pads includes custom jotters, notebooks, journals and pocket notepads. 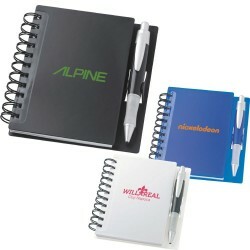 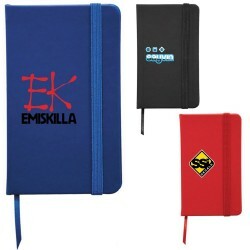 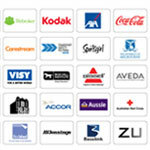 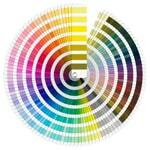 Products can be branded with your corporate name or logo and transformed into subtle yet effective advertising tools. 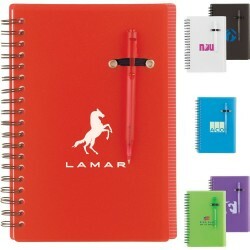 Check out our entire collection for more choices. 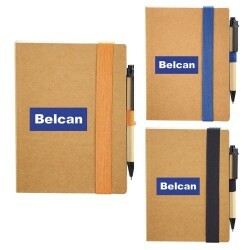 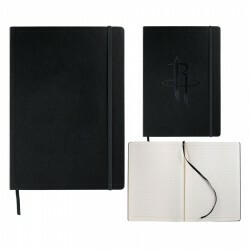 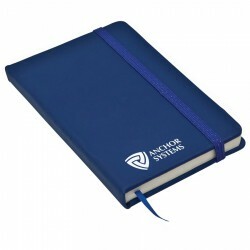 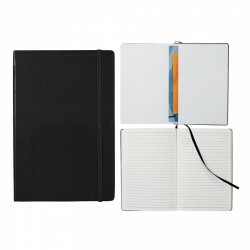 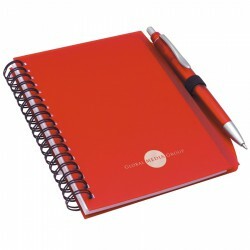 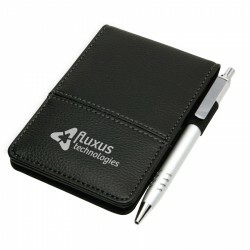 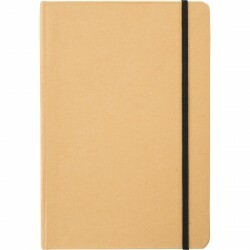 This quality pocket jotter features 5 internal card pockets and is supplied with quality metal twist-action pen and 2 note pads. 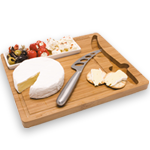 Packed in a black box. 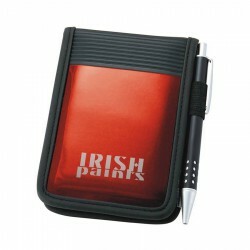 Product size is 8.5cm x 12.5cm high.